Ready to kick off this new year of business? I know I am. One of the best things we ever started doing for SURFit was to do an annual report. This is basically just a time for us discuss and to put down on paper what systems worked for us in the previous year, to really come to grips with what is working and what isn’t and to talk about the numbers. Usually, this is kind of scary to do but we have found recently that it is actually pretty fun. I haven’t done the annual report yet for SURFit but it is on the list for this weekend. 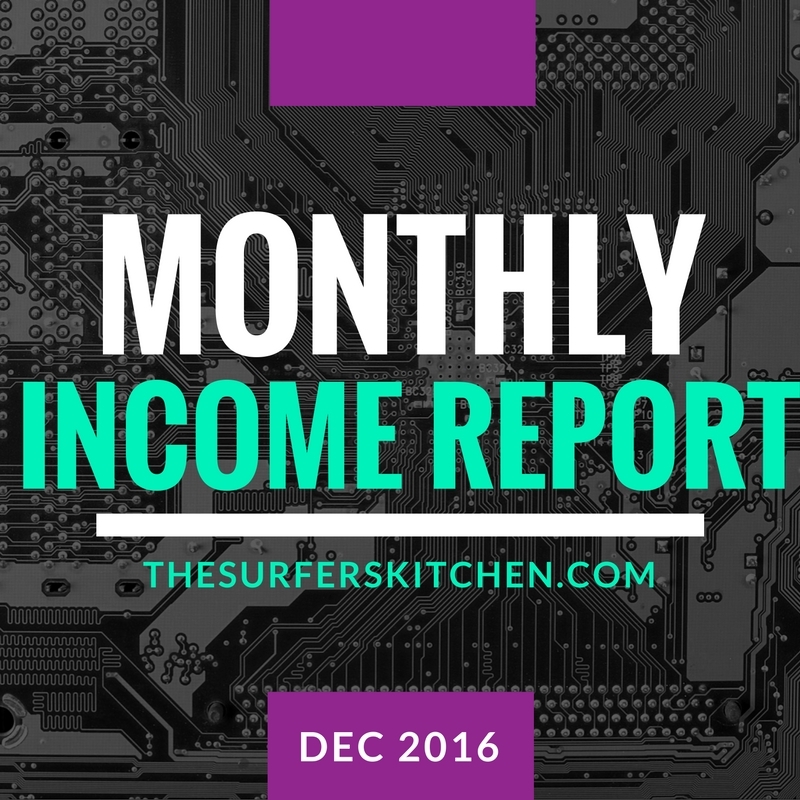 I like to think of this little update as the end of the year report for The Surfer’s Kitchen. I know I have so far to go but I think it is good to document this project/passion at all stages. I started to really focus on this space a few months ago and continue to think of fun content, ways to grow the community and more. It really does occupy my mind throughout each day…because it is fun! I love to cook and feed people. I love to talk about food and share healthy (ish) eating with the world. Although my numbers aren’t very impressive, I’m not that worried about it. Every little bit helps and I’m excited to see how things grow in 2017. I was pretty busy in December. We did a family trip to Disneyworld for four days, had family visiting and SURFit was just super busy. Even though I had time off from my day job, I didn’t get much done on SK. I got FIVE posts out in December. Only four food related posts. This is pretty bad as I am really wanting to maintain at least two food posts per week. I have food posts ready to go but I have just not been able to push the publish button. I am not sure why really except that I really don’t like my recipe plug-in and I keep stalling until I can get one that I like. I know this is not a good excuse. I need to post—I can deal with the tweaks and such later. I got one post accepted to FoodGawker. I am giving up with Tastespotting. I have had photos in the queue for review for months now. I’m wondering if they are even looking at that anymore. I shot two videos! I am very excited about the idea of video and had hoped to post one new video today but I still need to work on the editing. My goal for 2017 is to shoot and post one new video per week. I’ve got a bunch on my mind and my cute son is an awesome helper with the filming. Instead of focusing on money, I am really focusing on increasing my followers on social media platforms. I have a goal to increase them at least ten fold by the end of the year. Is it possible? I sure hope so. I’ve been doing lots of research on this and will let you know what I find out. I am really liking some of my photos these days. I have been adding them to my Flickr albums and am really impressed by how far I have come. I know I still have a long way to go but I am getting better. Long Pins. I am using PicMonkey to make long pins for Pinterest and though they aren’t the work of true graphic designers, I feel they are looking pretty good. Plus, I really do think they are getting more attention on Pinterest. Last month, I set a goal to work better on Pinterest and I am moving on that goal. I have purchased Viral Tag and am using that to help get my presence on Pinterest going. I am going to start reaching out to brands this month. In the peak of the Forty Cakes days, I was regularly doing posts for different hotel brands and products. I’m planning summer surf trip to Hawaii and plan to blog all about it. I really want to start a podcast. Aaron and I had talked about doing this for SURFit—basically discussing the ins and outs of owning a business as a husband and wife team (SUPER HARD TO DO! ), some surf and SUP talk, and whatever else we could think of. We wanted the podcast to always be recorded while sitting by our pool, drinking a micro-brewed beer. This has never happened. I got as far as ordering a microphone and that is about it. I still want to do this though! I want to invite everyone into our kitchen (our surfer’s kitchen) to talk about the surf, the ocean and building a life and career that you love. Besides food, building business is my favorite thing to talk about. I love dreaming and planning and want to pass on what we have learned and learn from other people. Stay tuned….I am not making this a January goal but maybe something I can have going by February. Building traffic. This is always going to be a work in progress. Just keep plugging away. 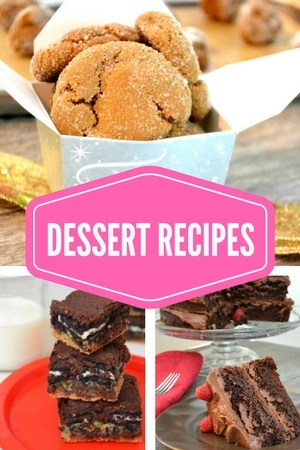 Still my recipe plug-in. Does anyone have one that they absolutely love? I am just stuck with this….I wish I knew a good developer to come up with one just for me. Comparisons….I see all of these other food bloggers with daily posts, beautiful styled shots and tons of traffic and I just get a bit discouraged. Gotta keep remembering that they all started somewhere. Baby steps. Each day will get me closer to my goals. Speaking of goals, are you setting any for the new year? Would love to hear of your plans for the next month!